People facing prosecution for motoring offences have many questions especially if they are at risk of being disqualified from driving or if they face the prospect of being required to attend court for sentence. We have collated the most frequently asked questions here. If you have a question which is not covered please don’t hesitate to contact us using the form below. Q. I have been accused of a motoring offence. Should I obtain legal advice? This depends upon the gravity of the allegation. Some motoring offences such as Drink or Drug Driving, for example, can lead to imprisonment as well as disqualification from driving. The more serious the consequences the greater the need to be legally advised. 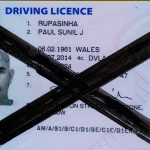 Whatever the allegation if your Driving Licence is at risk, and you cannot afford to lose it, do contact us for a no obligation discussion. Q. What is the difference between a solicitor and a barrister and which should I use? A barrister is a specialist and usually has particular experience of the presentation of cases in court. A solicitor will commonly be a generalist who often refers cases to barristers for advice and/or courtroom representation. A medical analogy would be that of a GP who refers his patients to a specialist consultant. Due to recent changes, you can now instruct a barrister yourself without the cost or delay of instructing a solicitor first. You can read more here: Should I instruct a Solicitor or a Barrister? Q. I have received a Single Justice Procedure Notice. What should I do now? You have 21 days to respond to the Single Justice Procedure Notice either online or by post. You have the option of pleading ‘Guilty’ or ‘Not Guilty’. If you don’t respond in time you could be convicted in your absence. If you plead ‘Not Guilty’ you can expect to receive notification of a date when your case will be heard. If you plead ‘Guilty’ you can opt for being sentenced without having to attend court or for being sentenced in court. Q. I wish to plead ‘Guilty’ and opt for sentence without having to attend court in order to try to avoid a disqualification. What will happen now? Bear in mind that if you are admitting to a serious offence for which you are at risk of disqualification (such as speeding grossly in excess of the limit) you are likely to be required to attend court for sentence anyway as there is a discretion to require you to attend if the court is likely to consider an immediate ban. If you are in this category and wish to try to avoid a ban it is wise to obtain advice before you return the form. You can read more here: What is a Single Justice Procedure Notice? Q. I am the registered keeper of a vehicle and have received a Notice requiring me to say who was driving at the time of an alleged offence (a S172 notice). Do I have to respond? Yes, you do need to respond to the Notice. 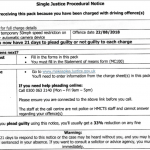 If you do not respond to a Section 172 Notice within 28 days of service of this Notice you may thereby commit an offence which is itself punishable by a fine and the endorsement of 6 penalty points. Q. What if I respond to S172 Notice and claim (falsely) that someone else was driving? A. You may thereby commit a very serious offence punishable with imprisonment (perverting the course of justice or attempting to do so). If the named driver colludes with you to improperly take responsibility for driving he or she may also commit the same very serious offence. You can read more here: What is a Section 172 notice? Q. I have received a Notice of Intended Prosecution. What does this mean? Notice of Intended Prosecution means the police are notifying you that they are considering prosecuting for an alleged offence. 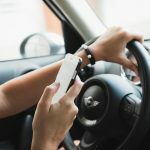 The law requires that for certain offences such as speeding, driving without due care and attention (and many others) that the offender has been warned that consideration is being given to a prosecution within 14 days of the offence. Q. The Notice of Intended Prosecution offers me the opportunity of giving a written account/explanation. Should I take it? Bear in mind that a decision to prosecute you may not yet have been made; they are notifying you of an ‘intention’ to prosecute you for one or more named offences. If you set out an account (by way of denial) this may actually persuade the police to prosecute when they were previously unsure as you may unwittingly admit facts of which the police were unsure or indicate in some other way that your case is weak. It is also possible, in some circumstances, the account could be used against you in court. For these reasons, it is essential that you understand the legal ingredients of the offences under consideration and how the police would apply such factors in your case. Sometimes a carefully crafted and well-informed written response at this early stage will persuade the police not to prosecute at all. We have considerable experience of writing such accounts. Many of our clients have then found that the police opt to take no further action. Of course, each case turns on its own facts but don’t hesitate to contact us if you need help in writing an account to send by way of response. Q. I did not receive the Notice of Intended Prosecution (NIP) within 14 days of the incident. Can they still prosecute me? Yes, although you may have a defence to the allegation based on the late / non-service of the NIP. If the police had used reasonable diligence to identify the accused/registered keeper within the requisite period or if there was an ‘accident’ at the scene the defence may fail. This is a technical area of the law and you should obtain advice if you are unsure of the merits of your case. Q. I don’t need my driving licence for my job and can afford to do without my car. Is there any other reason that I should consider obtaining representation to try to avoid a ban? Yes, you should consider the effect of an immediate driving disqualification upon your insurance premiums. It is not uncommon for premiums to rise dramatically in the years following a ban whereas any increase in premiums consequent upon the imposition of penalty points is usually far lower. If in doubt do contact your insurance provider to enquire as to the likely effect of a ban upon your insurance premiums. Q. I expect to have 12 or more penalty points endorsed upon my licence. What will happen now? If you have 12 or more penalty points endorsed on your licence for offences committed within 3 years of each other you will be liable to a minimum 6 month ‘totting’ ban. Q. Is it possible to avoid penalty points or ‘totting’ disqualification? Yes. If you can prove that you would suffer ‘exceptional hardship’ there is a discretion within the court either not to ban you or to ban you for less than 6 months. Defendants often think that if they need their licence for their job that they will avoid a ban. Bear in mind that many thousands of people would lose their jobs if they lost their licences. This situation is in not unusual or exceptional. ‘Exceptional hardship’ arguments will always benefit from careful legal advice well in advance of the hearing combined with skilled and persuasive presentation at court. Q. I need a very effective lawyer to represent me. Should I pay regard to motor offence solicitors’ ‘success rate’ tables?